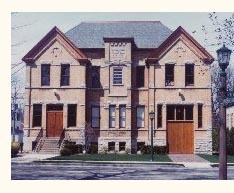 The Wilmette Historical Museum offers student internships, usually beginning in January, June or October. We also consider high school students for special projects at any time during the year. Before applying, we recommend that you contact us to confirm that we are currently accepting applications. 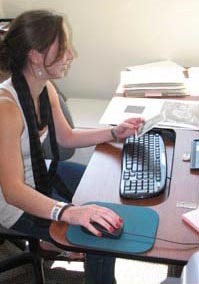 Interns can learn about many aspects of museum work in the areas of collections, research, exhibits, and public programs. The focus of each internship varies depending on the student's interests and the currently available projects at the museum. 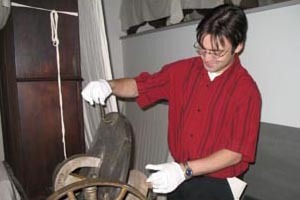 Past projects have included cataloging objects, processing archival collections, digitizing photographs, creating public tours, developing new material for the website, and assisting with research and writing for upcoming exhibits. 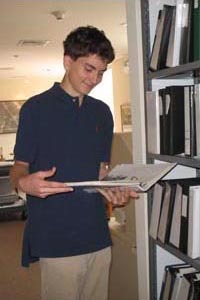 High school interns, who generally work at the museum for shorter periods of time, might consider projects such as: 1) planning an exhibit case; 2) conducting oral history interviews; 3) creating a walking tour, podcast or such about a historic topic or place in the community; 4) working with the younger students and teachers to add a local history component to their current studies; or 5) creating a media project. The Helen N. Morrow Summer Internship was established in 2016 in memory of Ms. Morrow, an esteemed social studies teacher at New Trier High School, a long-time Wilmette resident, and a generous donor to the Museum. The internship comes with a $1,000 honorarium. Generally, one to two internships will be awarded each summer. To apply, follow the internship application instructions below. Students are expected to intern 14-21 hours/week, usually for 8-10 weeks but the time period can vary, especially with high school projects. Students usually work Mondays-Thursdays. Because the internship is part-time, students are free to hold a paying job or pursue other activities in conjunction with the internship. Complete the online application form. You will be asked to upload a current resume that includes a list of relevant classes taken and the names and contact information for two references. Deadlines: As a general rule, application deadlines are December 15 for a winter term internship, April 15 for a summer internship, and September 15 for a fall internship. If you have a project that does not fit this schedule, call or email us about alternatives. We will notify you by January 10 (winter term), May 15 (summer term) and September 25 (fall term). Closed for holidays: 5/12, 5/27 and 6/16. Step inside the Museum and take a virtual tour here. © Copyright 2019 Wilmette Historical Museum.